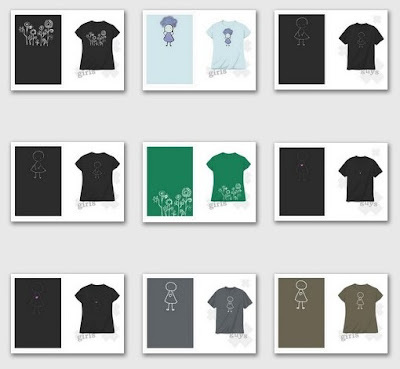 Heehee, Teru is finally on a TEE. And here’s the complete collection… I think I’ll take a break from that site now..
Congratulations! alos on the previous T-shirt. I like both. the designs of the previous one are great and I love the color of this one…it suits her well.